When Donne Roberts is on stage everybody is on the dance floor. Backing up Donne is Celina Carroll and Jani Lauzon. 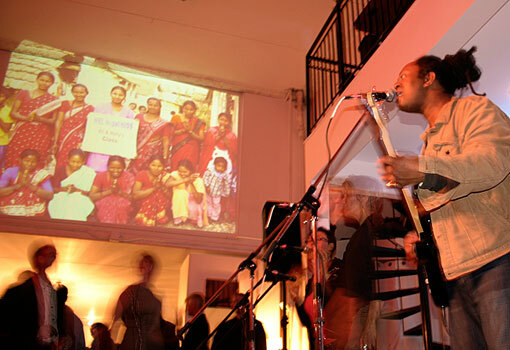 WELNepal is indebted to all the wonderful musicians who donate their time each year to entertain at Monica McKenna’s Benefit Bash for the women in Nepal.